The 12,067 seat stadium boasts 20 luxury suites, press facilities, including two TV broadcasting booths, and a 300-seat restaurant. 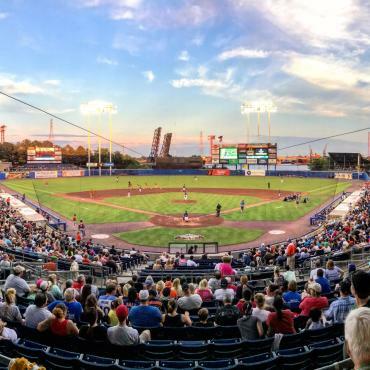 Located on downtown Norfolk’s waterfront, Harbor Park also features a complete picnic area located in left field that can be rented out for private parties, as well as an exceptional variety of concession food and beverages available to stadium guests. For groups of 50 to 350, a menu offering a wide selection of charcoaled items is available. Hits at the Park is an on-site full service dining establishment located down the right field foul line and is open to the public for all home games. Hits at the Park can also be used to host private dinners, banquets, or other functions.